When a filmmaker visits a location to shoot their latest project, they bring economic growth with them. In Indiana alone, the film industry provides 7,018 jobs and $241 million in wages — a lofty sum, but significantly less than our neighbors Ohio (11,660 jobs and $459 million in wages) and Illinois (19,984 jobs and over $1 billion in wages). Fortunately, the ways in which individuals produce and consume media are rapidly changing, and Indiana’s opportunity to play a role in the film industry is increasing as more Hoosiers recognize the value of film. There was a time when those who wanted to work in the film industry knew that to have a shot at making it big, they’d have to pack their bags and move to a large city, such as Hollywood, New York or Atlanta. In today’s global society, that is no longer the case. 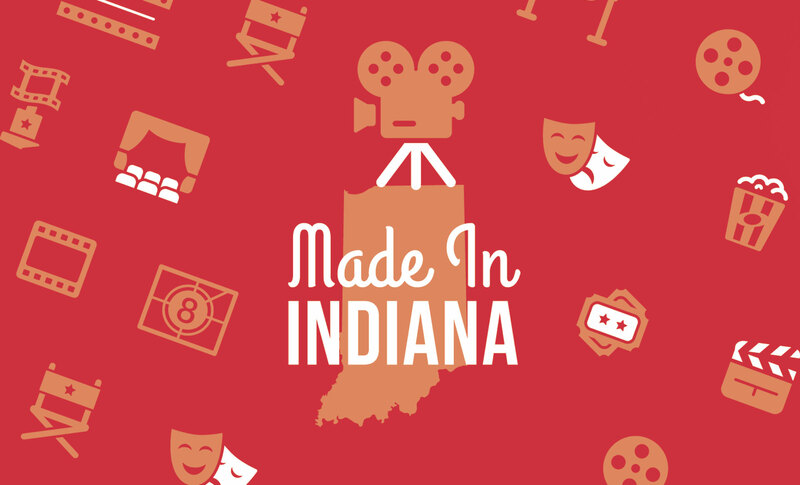 Many passionate and successful filmmakers call Indiana home. Hoosiers have started successful production companies, filmed productions that have found their way to television and Netflix and have created web-based media networks. In addition, our state is working hard to promote its resources and locations to large out-of-state production companies. Two years ago, the Indiana Office of Tourism Development took over Film Indiana, an initiative that promotes the state’s assets to filmmakers. Since the takeover, they have put together an online location database and production service directory for the industry. Amy Howell, who oversees Film Indiana, says despite dozens of Hoosier production companies putting out quality work and many well-known films being shot in full or in part in state, getting large production companies to shoot in Indiana has been challenging. For example, local author John Green’s novel “The Fault In Our Stars” was set in Indianapolis, yet producers chose to shoot the film adaptation in Pittsburgh. Howell says part of the problem stems from the fact that, unlike over 30 other U.S. states, Indiana doesn’t offer incentives such as tax credits, rebates and grants to film producers. Pennsylvania, for example, offers a 25 percent tax incentive, plus 5 percent for projects intended for a national audience and filmed at qualified facilities. “I do think tax incentives would be a good starting point. If you look to see what Georgia has been doing, it’s a good model. Georgia has basically built a soundstage in all major cities and has invited filmmakers to come. If they don’t have the landscape the filmmakers need, they build it for them. In addition, both the state and city have a tax incentive, so they are basically offering three incentives,” said Howell. Tax break or not, Howell says Indiana is an affordable state to shoot in, citing a Tax Foundation report that explained why Indiana has the best business tax climate in the Midwest and ninth best overall in the nation. In addition, Howell explained, money goes further in Indiana. In California, $100 has an equivalent value of roughly $88. In Indiana, that same $100 is worth $110. Affordability aside, Indiana has a variety of diverse settings to choose from, including forests, lakes and large cities. In addition, Howell says Indiana is home to incredibly passionate filmmakers. There is an organization that aims to unite all of the passionate creatives in Indiana while giving them the tools needed to grow, and its impact is felt on every corner of the state. On a cold Tuesday night in November, dozens gathered inside a movie theater in Noblesville to hear a local filmmaker share tips on promoting and merchandizing productions. The gathering was organized by the Indiana Filmmakers Network, a local nonprofit that helps Hoosiers turn their creative visions into reality. With hubs across the state of Indiana including Terre Haute, Evansville, Fort Wayne, Indianapolis and Lafayette, the Indiana Filmmakers network offers free monthly meetings to the community, allowing both aspiring and seasoned filmmakers to learn from others who share their passion. Bechtold says the purpose of the network is to allow individuals to build connections so that they are able to learn from and grow with each other. To inspire individuals to branch out, Bechtold is organizing a conference called The Same Page Summit, where recording studios, art houses, acting studios, maker spaces and co-working spaces can share their needs and resources with each other. After hosting the summit near Indianapolis, he hopes to expand the concept to other parts of the state. While many local moviemakers create films as a hobby, some filmmakers have found ways to turn their passion into a full-time business by creating videos for corporate purposes. Video marketing has emerged as a leading way for companies to influence their target audience, and according to a 2017 video in Business Benchmark Report, the average American business publishes 18 videos each month. Julie Scher is the president and creative director of Midwest Film Factory, an organization that creates videos to help business clients sell products and services; ​win bids; attract, train and retain staff and more. Midwest Film Factory takes on an average of five to 10 projects each month. In addition, Scher rents out her studio to allow businesses, filmmakers and Youtubers to create their own vision with the equipment provided. Scher says she hopes her business will play a part in keeping talented, creative people in Indiana. Filmmaker Andie Redwine with By The Glass Productions has a similar vision. Her company, located on a farm in southern Indiana, has worked with corporate clients including Cummins and PBS. Redwine also creates feature films and documentaries, which she says is her true passion. Despite the state’s lack of incentives, Redwine says she wouldn’t want to work anywhere else. Howell with Film Indiana agrees. 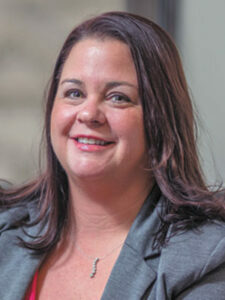 Four-time Emmy Award-winning producer Amy Howell serves as the director of Film Indiana, an initiative within the Indiana Office of Tourism and Development that endorses the state’s assets to moviemakers near and far. Howell has 20 years of television production experience under her belt and has previously been employed by WANE-TV in Fort Wayne and WISH-TV in Indianapolis. Since becoming director of Film Indiana, Howell has created and maintained an online location database and production services directory to help filmmakers easily find assets they need. She also organizes networking events, advises local filmmakers and promotes the state’s many film festivals to the industry.